Stunning single family home sitting directly on the ocean! If you have a large group, this home is for you! 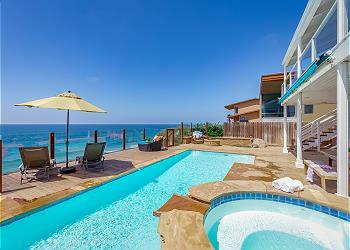 Gorgeous oceanfront single family home with panoramic ocean views. Large open floor plan, great for families. This unit has a private spa, a BBQ, a fireplace, granite kitchen, travertine flooring, a fantastic balcony, patio, and more! 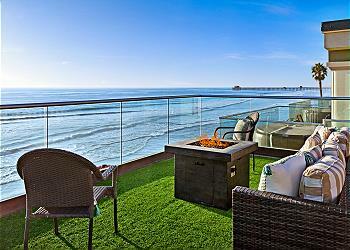 Amazing single family home, directly on the sand in Oceanside, CA! 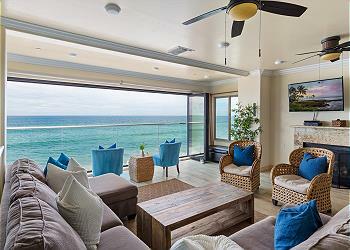 Walk in right at beach level, with an open living room, fireplace, and kitchen, that all look out to the ocean. 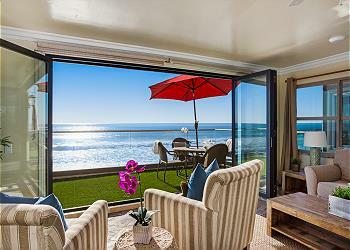 Enjoy a large beachfront patio, with the vast ocean as your backyard! 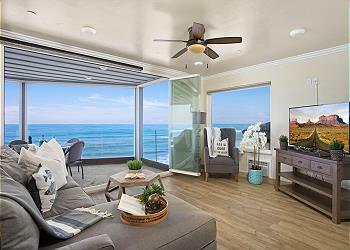 Amazing single family home on the ocean in Carlsbad, 3br, 3.5ba, 2 fireplaces, large kitchen, oceanfront patios, balcony, beautifully appointed beach house! Amazing 5 bedroom, with a sunroom, 3 bathroom single family home with a private pool and spa, a fireplace, a gorgeous kitchen and more! 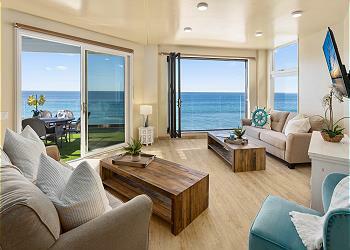 Oceanfront unit on the water! This upper unit sits directly on the ocean, with an unbelievable rooftop deck, covering the entire roof of the home. Views of the Pacific Ocean do not get better than this!